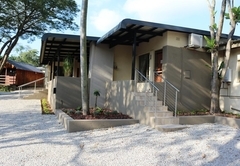 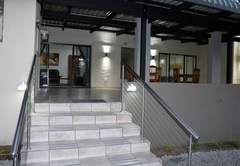 Hummingbird's Nest is one of the Nelspruit guest houses and provides accommodation in 7 guest rooms for tourists visiting the Lowveld Legogote region. 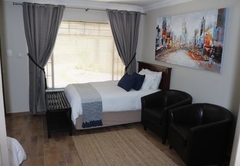 Hummingbird's Nest offers comfortable accommodation in a quiet area just two kilometers form Nelspruits main business district. 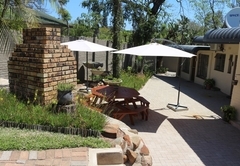 From here you are close to many great attractions including being only an hour’s drive from the Kruger National Park. 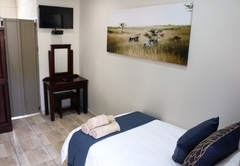 All rooms have a fridge, tea and coffee facilities, TV with DStv, high quality bedding and air-conditioning. 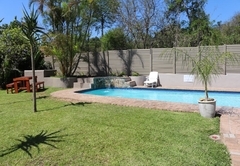 Spacious 28m² room with a Queen-size bed and an en-suite bathroom. 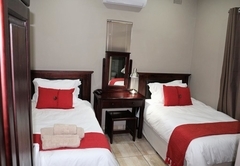 Spacious 18m² room with two three-quarter beds and an en-suite bathroom. 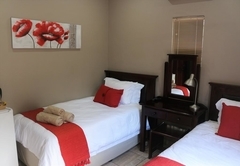 Spacious 18m² room with two three-quarter beds and an en-suite bathroom. 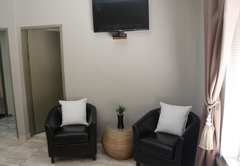 This room has a private entrance. 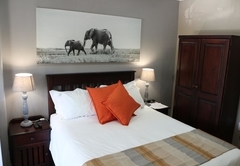 Spacious 18m² room with a Queen-size bed and an en-suite bathroom. 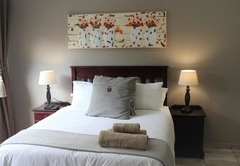 This room has a private entrance. 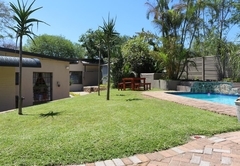 Spacious 15m² room with a three-quarter bed, a private bathroom and a private entrance. 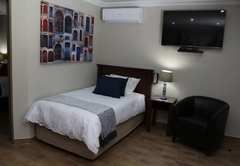 There is a standard Queen-size bed in the main room plus two three quarter beds in an open area.A fully equipped kitchen is included with an outside entrance. 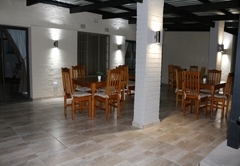 There is a guest lounge, entertainment area and a communal kitchen available for your use. 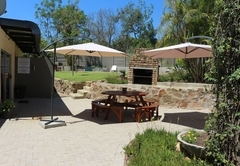 Braai facilities are available and there is a swimming pool and secure parking on site. 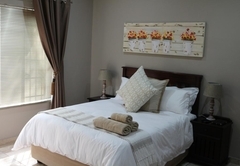 Spacious Bedroom of 28sqm with queen size bed. 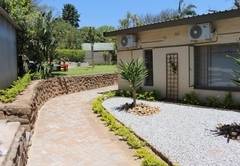 En-suite bathroom, fridge, tea and coffee facilities, TV/DSTV, high quality bedding and air-conditioning. 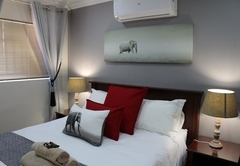 Spacious Bedroom of 28sqm with queen size bed. 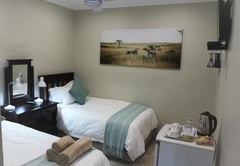 En-suite bathroom, fridge, tea and coffee facilities, TV/DSTV, high quality bedding and air-conditioning as well as seating area. 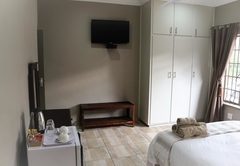 Bedroom of 18sqm with 2 x three quarter beds. 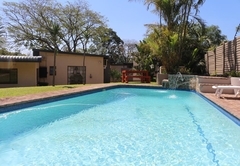 En-suite bathroom, fridge, tea and coffee facilities, TV/DSTV, high quality bedding and air-conditioning. 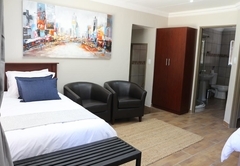 Bedroom of 18sqm with 2 x three quarter beds and private entrance. 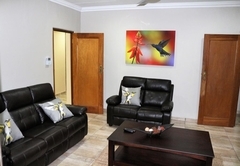 En-suite bathroom, fridge, tea and coffee facilities, TV/DSTV, high quality bedding and air-conditioning. 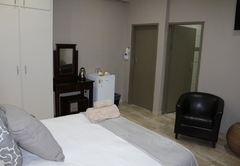 Bedroom of 18sqm with queen size bed and private entrance. 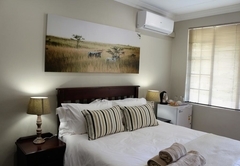 En-suite bathroom, fridge, tea and coffee facilities, TV/DSTV, high quality bedding and air-conditioning. 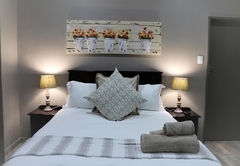 Bedroom of 15sqm with 1 x three quarter bed and private entrance. 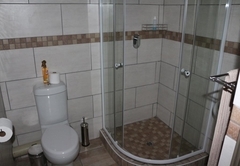 Private bathroom and small fridge. 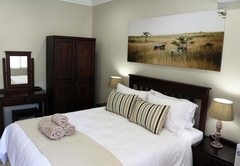 Standard Queensize bed in main bedroom plus two 3/4 beds in open area. 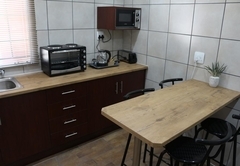 Kitchen equipped with fridge/freezer, microwave, small oven, cutlery and crockery. 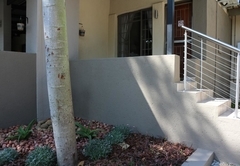 Outside entrance. 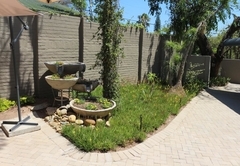 Low water pressure in bathroom, otherwise neat & tidy !! 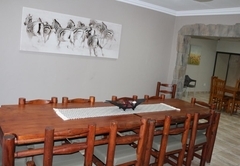 Response timeHummingbird's Nest typically responds to requests in 5-10 minutes.